You can connect other E-Mail accounts to your new Office 365 Outlook in a few easy steps (this helps to keep all your E-Mails in one place). Go to https://portal.office.com (click this link) and log in using your new Office 365 password. 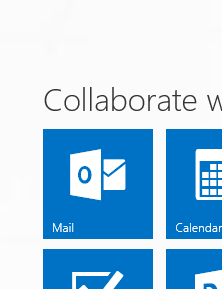 On the start menu click the Outlook tile. 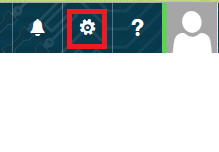 When you are in Outlook click on the small cog in the right hand corner. When the page loads click “Connected accounts” under the “Mail” heading and “Accounts” subheading (you may need to expand these by clicking the grey triangles next to the word). Next click the small ” + ” icon (connecting a new account). Enter the credentials to the account that you are trying to connect. There may be some issues here with being unable to connect (non Outlook/Exchange accounts), follow the instructions given. Now click the “OK” button in the bottom right. Follow the instructions onscreen until your exterior account has been merged to your Outlook account.